Do It Myself Blog – Glenda Watson Hyatt » Horses and Leather: My Heaven! Horses and Leather: My Heaven! 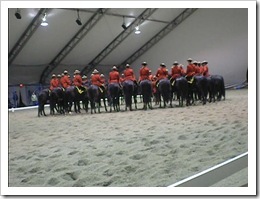 Thursday evening my wonderful husband Darrell surprised me with free tickets to the dress rehearsal of the Royal Canadian Mounted Police (RCMP) Musical Ride here at Holland Park â€“ Surreyâ€™s Olympic Celebration Site! 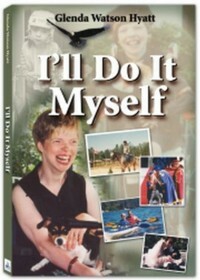 I have often seen the RCMP Musical Ride on television, but never live. For someone who rode for years many moons ago, this was an exciting opportunity! Wheeling into the tent arena, the distinctive smell of leather and horse instantly hit me, bringing back a flood of memories. I was in heaven! I shot this video (until my camera card filled), raw and uncaptioned. Please excuse the few headless horsemen! I will definitely return for a second show and, possibly, a third, if I can get away with it! You are welcome to join me. What a great smell leather and horse can be. And they are so strong and good. Wow, this is really great, What a great smell leather and horse can be! yes it’s great What a great smell leather and horse can be. I would have loved to see that.